Everything you need to know about the Texas Waffle Maker! I lived in Texas for some time and so naturally, I love all things Texas. Let me tell you something about Texas, whether you were born there, lived there as a kid, or lived there for a time as an adult, you quickly become a Texan. Texans love all things Texas. So you can imagine my excitement when I found a waffle maker that makes Texas shaped waffles! The Texas waffle maker is not a toy or a novelty gift. It’s a state of the art, high-tech, automated Belgian waffle maker that helps you make unique waffles shaped like the State of Texas, or should I say the Republic of Texas! Now, what makes this waffle maker so unique isn’t necessarily any features it has, or any innovative designs. What makes it special is that it produces delicious waffles Texas shaped Belgian waffles! Still, it does so efficiently and effectively. This waffle maker is stainless steel, compact, and cranks out excellent, hassle free waffles. If you’ve ever stayed in a hotel in Texas, you’ve likely had one of these waffles at their breakfast area. This is a great gift for a Texan coworker or family member, especially if they’re living out of state and missing home. This waffle maker has extra large and thick, nonstick grids that make big, Belgian style waffles. Is it ironic that you’re eating Texas shaped Belgian waffles? Maybe, but I guarantee you they’ll be delicious! If you’re not sure what a Belgian style waffle is, read here. Again, this is a well made kitchen appliance, not a toy or a novelty item. You can be sure that this will crank out waffles for years to come. Makes waffles in just 3 minutes! MAKES WAFFLES IN THE SHAPE OF TEXAS! Gets VERY hot, so be careful! 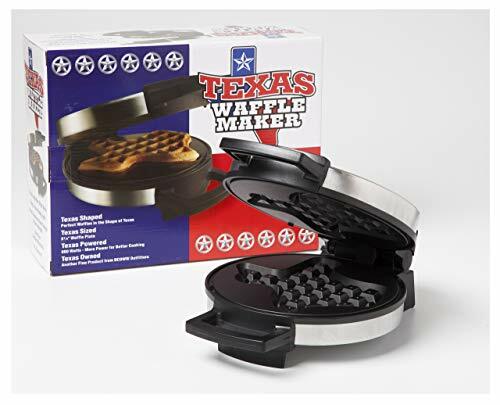 This Texas shaped waffle iron boasts a 4.4/5 stars on over 250 customer reviews! The Texas Waffle Maker measures 13 x 10 x 10 inches. The Texas Shaped Waffle Maker weighs 2 pounds but ships at a weight of 4.3 pounds. Is it available in a 220 volt? It’s made in China but it is a well made kitchen appliance. Enjoy Belgian waffles from a Texas Shaped Waffle Maker made in China! No, there isn’t. The only indicator is the indicator light. Keep an eye on it! Is there an instruction manual? No, there isn’t. However, you can find some instructions on the manufacturer’s website here. Other than that, you can follow these rules for using a waffle iron. Does the indicator light keep the waffle maker on? The indicator light lets you know when to take out your waffle and unplug it. If you leave your waffle in, it will continue to cook. Basically, the only way to turn off the Texas Waffle Maker is to unplug it! How big are the Texas Shaped Waffles? The waffles are about 7 inches in diameter. 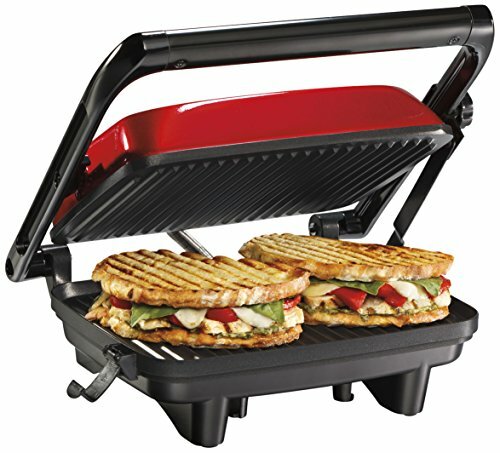 This product can best be compared (kind of) to two other waffle makers on the market. The Oster CKSTWF2000 Belgian Waffle Maker and the Black+Decker Belgian Waffle Maker. The reason I say that is because all three of these waffle makers are straightforward and easy to use.They’re all no nonsense waffle makers that will crank out waffles for years to come. However, the Oster and Black+Decker models make round Belgian waffles. While the Texas waffle maker also makes thick, Belgian waffles, the waffles are Texas shaped. For many people, the difference that tips the scale is the fact that these waffles are shaped like the great state of Texas. If you’re looking for a Texas Shaped Waffle Maker, this is the product for you. 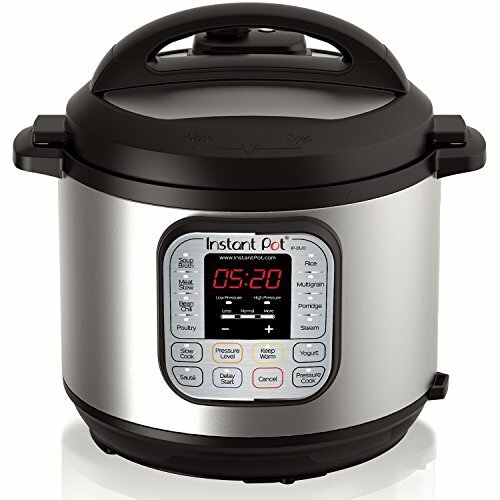 This is a high quality kitchen appliance that will not disappoint! How about you make Texas shaped eggs to go along with your Texas shaped waffle? These egg fry rings can also be used to make Texas shaped mini pancakes! They’re top rack dishwasher safe and have a wooden handle that conveniently folds down. For an extra long life, only wash by hand. 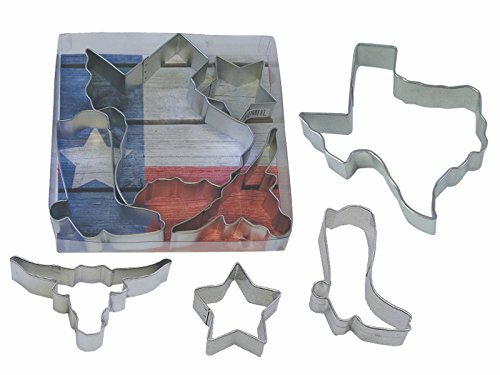 This Texas state cookie cutter set is a high quality set that not only features Texas state, but a boot, longhorns, and the Lone Star. It can also be used for crafts.To give you an idea of size, Texas state is about 4-5 inches. This Texas state cutting board is made of organic Moso bamboo, is easy to clean, and comes with a 100% satisfaction replacement warranty. Moso bamboo is known for its high density, high quality, and is one of the world’s most renewable resources. No crazy chemicals in this cutting board! It’s organically grown and made with no fertilizers, pesticides, or artificial irrigation. This cutting board is weighs 14 ounces and is 14 x 13.4 x 06 inches. Totally Bamboo makes bamboo products and is loved by those who love the environment. Bamboo saves trees, is rapidly renewable, is organically grown, features no plastics or BPA, and is Panda safe. Your Kitchen Master or Grill Sergeant will love this Lone Star Texas apron. It’s a 60/40 poly cotton blend and machine washable. It’s great quality and guaranteed to be loved by your Texan! The ultimate in man cave gifts. This Texas cast iron bottle opener is solid cast iron and has a rustic type of finish. It’s design looks vintage and will add a nostalgic addition to your bar, kitchen, or patio. Keep in mind that it’s wall mounted. It’s important to know that screws are NOT included with this bottle opener. To buy or not to buy this Texas Waffle Maker? This is a straightforward product. There’s no need to embellish anything or expand on the basics. This is a well made waffle maker that will quickly and efficiently crank out Texas shaped Belgian waffles for years to come! The other Texas products listed here also have great reviews on Amazon and are sure to satisfy the Texan in your life! 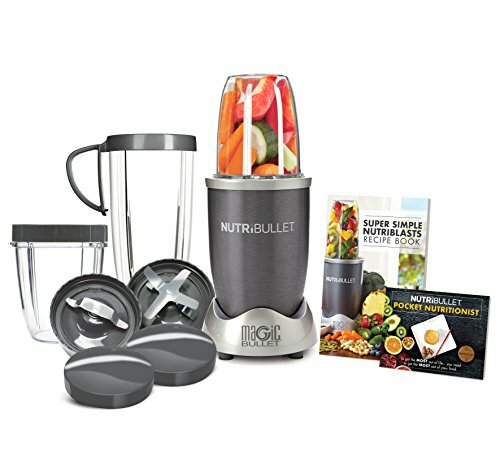 If you do decide to go ahead and buy any of these products, let me know how you like them! What is the Best Belgian Waffle Maker?